It's Tuesday which means it's time for Top Ten Tuesday - a link up with The Broke and the Bookish! This week's topic was covers I'd frame as art work. I've been really excited about this one as one of the top thing that draws me is the cover. I had a delightful time browsing goodreads and amazon and picking the covers I like. Most of these aren't representative of what I currently have in my home but are the type of covers I'd frame for the the reading room I'm planning on having once some of the kids move out! I discovered I have a thing for landscapes! Yes, I love the cover art for the Phryne Fisher books! Me too! I think the green on this one is my favorite of her covers. Thanks! I've read most of them and enjoyed them! Thanks! Gates get me every time. 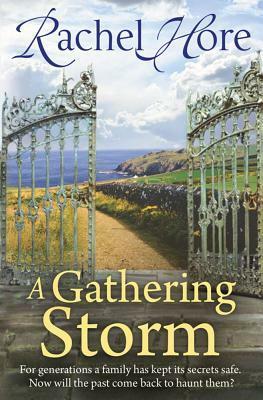 I had never heard of the book before I found the cover and now I really want to read it. Great covers! I can really picture how amazing all these would look on the walls in a home. They all make sense together. Thanks! This list has really gotten me thinking! I may be redecorating my whole house in book covers very soon! Thanks! I love book covers and this was a fun list to do! Covers really pull me in too. I really like your choices, Katherine. I think my favorites are The Forgotten Garden and the Agatha Christie covers. Thank you! 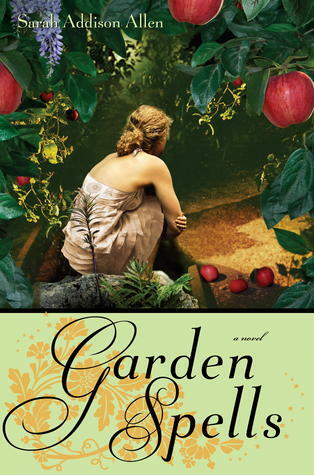 I was excited to read The Forgotten Garden mostly because of the cover. Luckily it was I enjoyed it. All of her covers are stunning. And Then There Were None is probably my favorite Agatha cover. Plus one of my favorite books so good all around. 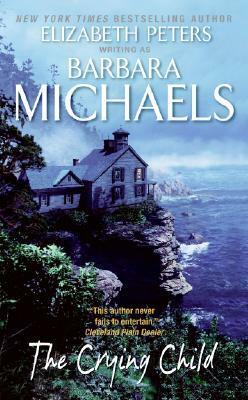 That Agatha Christie cover would make a great framed piece, with the mysterious island and the mansion. That would be fun to look at on the wall! 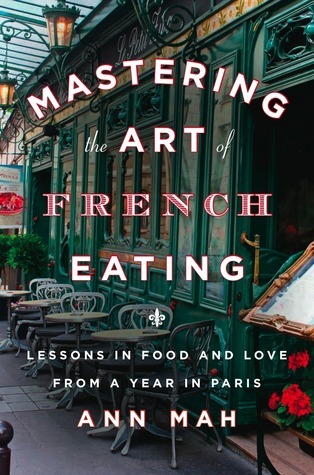 The Art of french Eating might look nice too, in a French bistro art kinda way. :) Great TT. The French Eating reminds me a little of the European building wall art that was all the rage a few years ago. Guilty pleasure? :) I do love the Christie cover. It's definitely going on a wall somewhere! Really great choices! 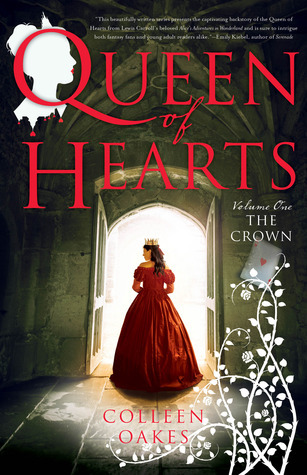 I like the Queen of Hearts cover. It's really pretty. Thanks! I love the pop of red against the grey. Thanks! I've noticed that too. I think since I don't read much YA I'm not naturally drawn to the covers. You really should give Christie a try! 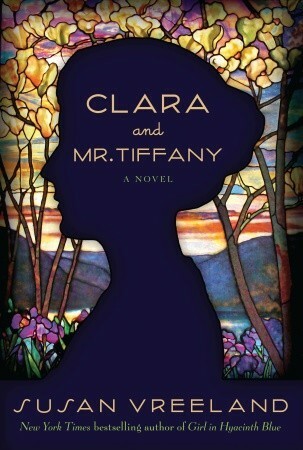 I love the Clara and Mr. Tiffany cover too. I haven't read any Vreeland but I have a few of hers. Lovely choices! I could see Clara and Mr. Tiffany hanging on my wall. Here are MY PICKS this week. Happy Tuesday! Thanks! Vreeland always has the best covers! Thanks! I thought so and it didn't hurt that the book was really good too! I love "The Forgotten Garden" cover! Morton's book "The Secret Keeper" was one of my favorite books I read in 2013 and I've been meaning to check out "The Forgotten Garden" for months now. 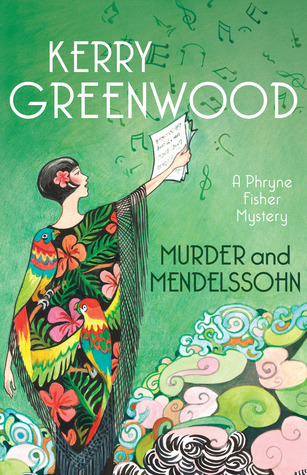 I've never read Kerry Greenwood but "Murder and Mendelssohn" is a gorgeous cover! Who ever does Morton's covers is amazing. They're all gorgeous. 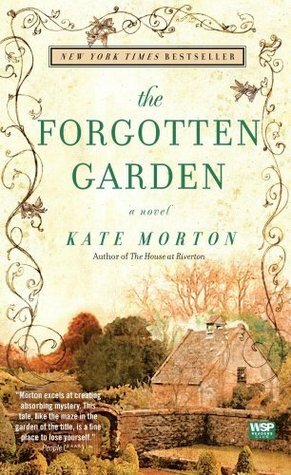 I really enjoyed The Forgotten Garden and have really been wanting to read her other books but keep forgetting. I'll have to bump The Secret Keeper up the list! Ooo you picked fantastic covers and there are a few beloved books up there. These would all look awesome hanging in my home! Thanks! I love book covers. I'm planning on turning one of the kids' bedrooms into my reading room once they move out and these will be on the walls!